Vanadium dioxide is poised to join the pantheon of superstars in the materials world according to Berkeley Lab researchers; The University of Cambridge has unveiled a super-fast and super-green high-performance computer, also the most efficient air-cooled supercomputer in the world today. Already prized for its extraordinary ability to change size, shape and physical identity, vanadium dioxide can now add muscle power to its attributes, researchers with Berkeley Lab reported. They have demonstrated a micro-sized robotic torsional muscle/motor made from vanadium dioxide that for its size is a thousand times more powerful than a human muscle, able to catapult objects 50 times heavier than itself over a distance five times its length within 60 milliseconds – faster than the blink of an eye. They’ve created a micro-bimorph dual coil that functions as a powerful torsional muscle, driven thermally or electro-thermally by the phase transition of vanadium dioxide. Using a simple design and inorganic materials, they achieve superior performance in power density and speed over the motors and actuators now used in integrated micro-systems. Multiple micro-muscles can be assembled into a micro-robotic system that simulates an active neuromuscular system and the naturally combined functions of proximity sensing and torsional motion allow the device to remotely detect a target and respond by reconfiguring itself to a different shape. This simulates living bodies where neurons sense and deliver stimuli to the muscles and the muscles provide motion. Designed in partnership with Dell, NVIDIA and Mellanox, one of the world’s greenest supercomputers has been unveiled by the High Performance Computing Service at the University of Cambridge. Named “Wilkes”, after the Cambridge pioneer Maurice Wilkes, who built one of the first ever programmable computers in 1949, the new system has been rated second in the “Green 500” – a ranking of the most efficient supercomputers worldwide. 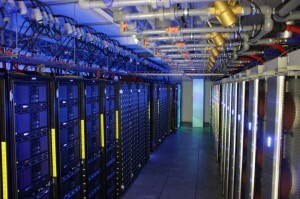 It is, however, the most efficient air-cooled supercomputer in the world today (the first-placed machine used an oil-cooled system instead), making it the greenest machine of its kind. According to Cambridge, it was designed and built by the in-house engineering team within the Cambridge High Performance Computing Service. It’s energy efficiency is 3,361 Mega-flops per watt. The Dell system uses NVIDIA GPU computational hardware, and apart from its green credentials is also the fastest GPU supercomputer in the UK – with a sustained performance of 250 “Teraflops”. It reached position 166 in the Top 500 list of the world’s fastest supercomputers. This is equivalent to approximately 4,000 desktop machines all running as a single system. One of the primary uses of Wilkes is as a test bed for the development of a computing platform for the Square Kilometre Array (SKA), an international effort to build the world’s largest telescope. By detecting radio waves with unprecedented sensitivity and fidelity, the facility has the potential to answer some essential questions about the Universe, such as what the nature of dark energy is, and perhaps the most fundamental question of all – are we alone? The architecture of the GPU system has also been designed to be the most scalable possible using the very latest high-performance Infiniband network from Mellanox. This provides a massive 100 gigabytes per-second bandwidth, and a message rate of over 137 million messages a second. This scalability will be used to drive the discovery process across a broad range of research activities within the University. For example, the system will be used to design and test jet engines, design new drugs to fight cancer, and examine the fundamental nature of the nucleus of the atom. One particular research group has already developed GPU-optimized computational fluid dynamics software called “Turbostream” to model the air flow within jet engines which, when combined with the new GPU system, offers ground breaking capability in turbine research. 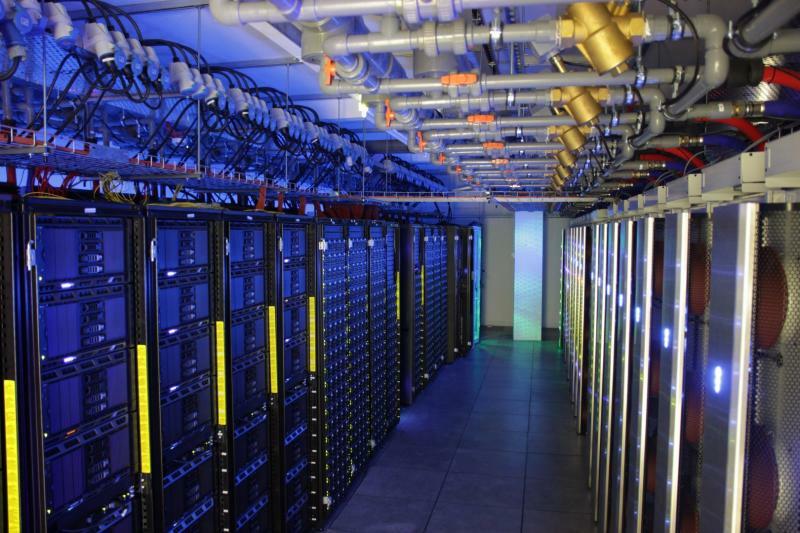 The GPU system is housed in a custom-developed “green data center, which uses evaporative air-coolers and water heat-exchangers to further boost its environmental credentials.